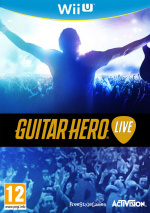 Activision is relaunching its famous Guitar Hero brand as Guitar Hero Live, a game which not only offers a new-look controller but also focuses on using live-action footage to deliver a more immersive experience. It's coming to the Wii U - as well as other formats - this year. FreeStyleGames is the studio in charge, and the video below offers a behind-the-scenes look at how the UK outfit created the game's unique live visuals using actors and a real band. 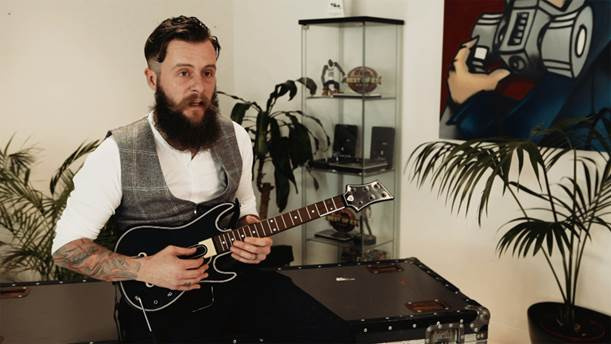 It also offers a look at GHTV - the world's first interactive music video service - and a tantlising glimpse of that all-important redesigned guitar controller. Oh, and there's quite a lot of facial hair in there, too. I really hope, that the pricing for DLC is right and the Tracklist is awesome, if this isn't the case, then no Guitar Heroe for me I guess ^^"
Jamie Jackson carries one of the manliest beards I've seen recently! However, while I'm liking what they presented, I feel like all these "changes" they talk about aren't even half as meaningful as they think. The general handling of the guitar controller is still largely the same, the presentation and overall gameplay is still the same, and the context of what you're supposedly playing is still to vague to make most people feel like more than plastic-wielding party dorks. Also, this whole live crowd thing is nice 'n all, but doesn't matter for the most part, so I see that as an enormous waste of resources. They could've just stuck to 3D models and nobody would've complained. While it's nice they're putting this on WiiU, it sounds EXACTLY like what Harmonix said about bringing back Rock Band... only this is a month and a half too late. Until now I wasn't aware of the new guitar button layout. That explains why there's no backwards compatibility with old instruments. I like that they are trying to change GH and not just go with a remaster of old formula. Still it seems there's no drums support, am I right? That would be a shame. They're trying to get as wide a range of music as they can into the game...isn't that what caused sales of GH to plummet after 5 and Band Hero?